After two seasons splitting time between the posts, Benton grabbed hold of the No. 1 jersey last fall and turned in an impressive season for the Tigers, helping OA share the league title with Mansfield and emerging as one of the league’s best netminders. With Benton in goal, the Tigers allowed only 12 goals all season in their first season in the Kelley-Rex division. It was the third straight league title that Benton had won as the OA goalie. This fall, Benton may be called on more than usual as the Tigers have players missing from the center of the defense because of injury, making Benton’ leadership even more important to keep things settled at the back. The extra chances for opponents will be extra opportunities for Benton to show off her athleticism and ability to cover the whole penalty area. Duserick is a four-year starter and has been named a league all-star for each of her first three seasons with the Bulldogs. 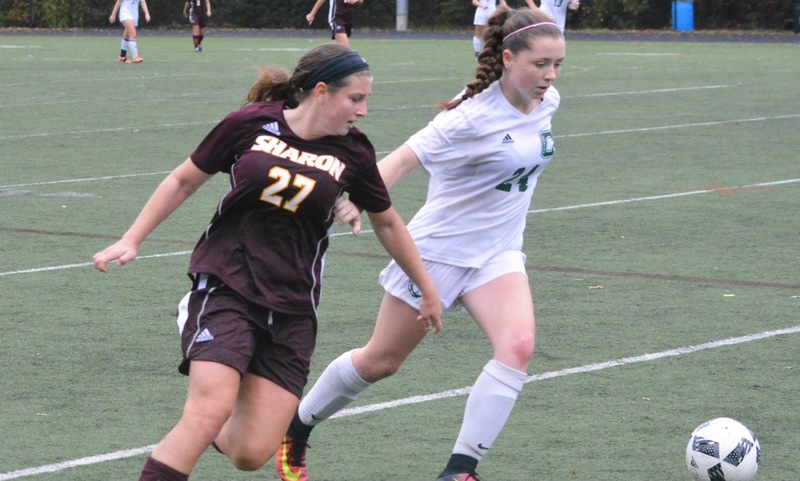 The senior midfielder pulls the strings for Canton and showed her leadership qualities last fall when she helped a young roster makes a run to the Div. 2 South semifinal. She scored seven goals and recorded four assists as a junior and has been a key cog in head coach Kate Howarth’s possession-based attack. Heading into her senior season, Duserick will once again be the focal point of the Bulldogs midfield as they look to compete for their first Davenport title since 2012. It is not often that the Hockomock League boasts an international-level player but Filipkowski added her name to the list this summer when she was selected to play for the U-21 Puerto Rican national team. The George Washington-commit is one of the most technically-gifted players in the league with an array of moves on the ball that allow her to get past defenders and create space for teammates. Filipkowski will have a young roster around her this season, but her ability to manufacture scoring opportunities will give her teammates plenty of chances. 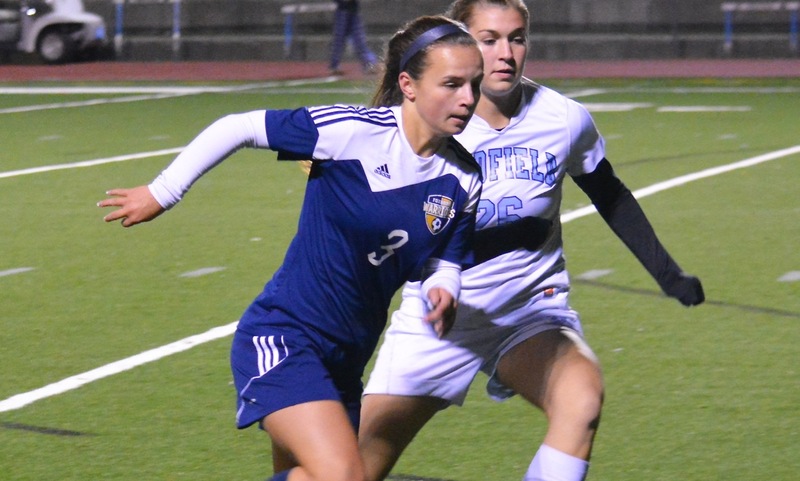 She scored 10 goals and recorded 15 assists as a junior, tied for the team lead in points. The Attleboro defender is not the biggest player on the pitch, but what she lacks in size she makes up for with quickness, solid reading of the game, and tenacity to go get the ball. While the Bombardiers have struggled at times to score consistently, they remain hard to break down and Forte emerged last fall as a defender that the team can build around. Jumping into the heart of the defense, Forte played some of her best games against the league’s top scorers and earned praise from opposing coaches who game planned to try and attack down the opposite side to avoid Forte breaking up the play. As a senior, Forte will have to also emerge as a team leader to help Attleboro compete in the loaded Kelley-Rex division. Guertin is one of the most skillful players in the league and has been a consistent goal scorer right from the start of her North Attleboro career. With Guertin leading the line, North won the program’s first league title in 2016 in its first season in the Davenport. She scored 13 goals, including a program-record five in one game, and recorded 17 assists. Guertin comes into this season with 37 assists in her career, which is tied for the program record. Her willingness to run into channels and pressure the ball sets the tone for the Rocketeers and opens space for a talented group of forwards that have North thinking about making it back-to-back league titles. Reef had a breakout season in the heart of the Mansfield midfield, helping the Hornets to one of the best seasons in program history and the program’s first league title. 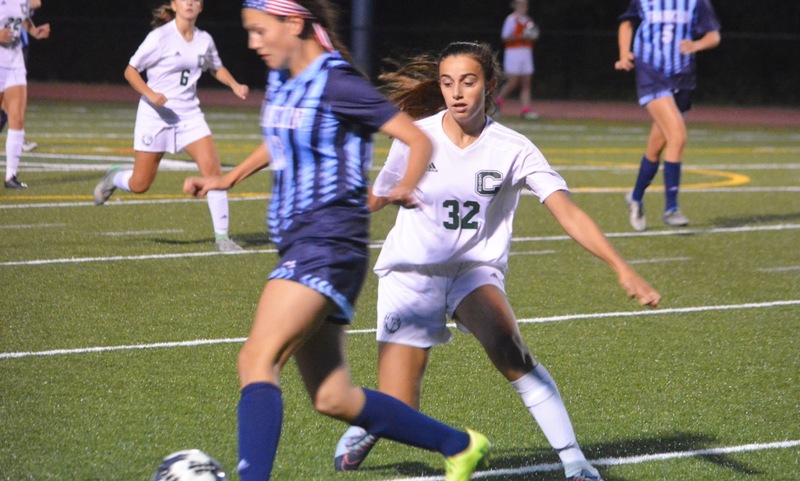 While much of the attention was (rightly) focused on Hannah Reiter, Reef put in a league all-star-caliber season doing much of the dirty work in midfield to win the ball back for the Hornets. A solid tackler, who reads the game well, Reef could also transition the Hornets from defense into attack by picking the right pass. She completed 80 percent of her passes for the season and formed a solid partnership with classmate Bryn Anderson, which gives Mansfield hope of repeating last year’s feats even with Reiter now plying her trade in college. Robbins had big shoes to fill when she stepped in between the posts last season, taking over for four-year starter Dani Lonati, but she quickly became one of the top shot stoppers in the Hock. Robbins allowed only nine goals and helped Franklin to another season with double-digit victories. She played every second of every game and finished 2016 with 11 clean sheets, allowing only 0.81 goals against per game. For her efforts, Robbins was named to the All-Eastern Mass. second team. She has the quickness and agility to make the big save and her leadership will be crucial to keeping the young Franklin defenders organized. 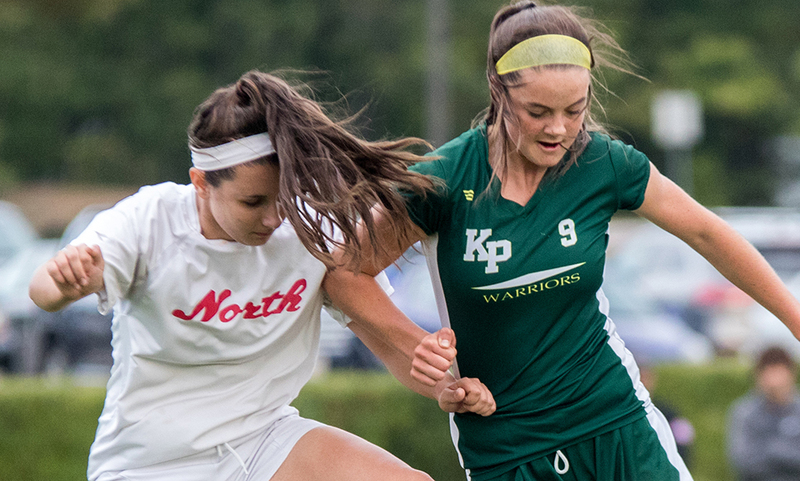 Snead burst onto the scene last fall and made an instant impact for the Warriors, helping King Philip jump from two wins in 2015 to 13 last year. Capable of playing in the midfield or up top as the striker, Snead scored 13 goals last season, including the overtime winner against Mansfield that lifted KP into the second round of the playoffs. Showing off skill and poise on the ball and the ability to score from distance and use her size to create goals in the penalty box, Snead was named a league all-star and was the first freshman to be named HockomockSpors.com Underclassman of the Year. Expectations will be sky-high for Snead and KP this fall. 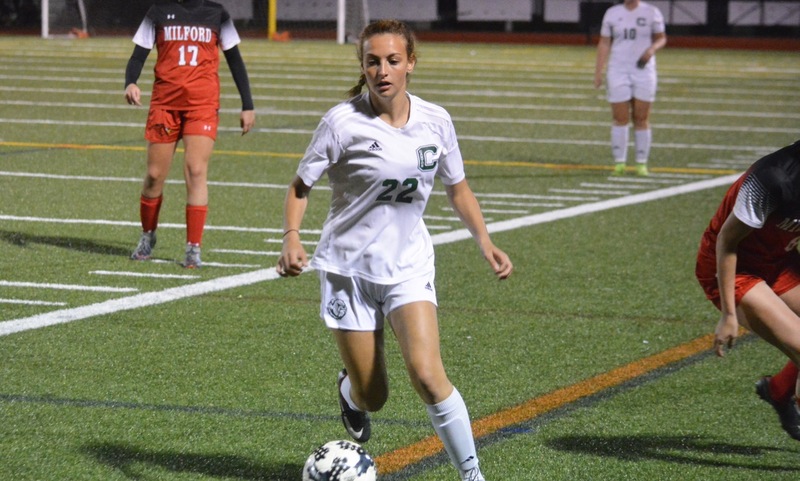 Right from the start of her career with Foxboro, Sykes has been one of the best playmakers in the Hockomock League and shown the versatility to play in a range of positions from up top all the way to defensive midfield. With quick feet, strength to dribble through a tackle, and the vision and ability to pick out the killer pass, Sykes can tear apart an opposing defense. She scored 12 goals and seven assists, pushing her career totals to 38 and 18. She also helped Foxboro beat Notre Dame Academy and pushed Medfield to penalties in two road playoff games. The Warriors have a new coach and a new system this season, but having Sykes to pull the strings should make the transition easier, as Foxboro looks for its first league title since 1993. There are few players in the league that can boast the speed that Tichelaar has when in possession and she adds impressive strength to hold off defenders or fight through a tackle. The Tigers have been young since their first playoff win two years ago and Tichelaar has been pushed back into the midfield to help Taunton control play. Even positioned further from goal, she still managed to score eight times last season and recorded four assists. If the Tigers are going to manage a return to the playoffs this fall, Tichelaar’s ability to break down a defense and her leadership will be necessary to push Taunton forward.